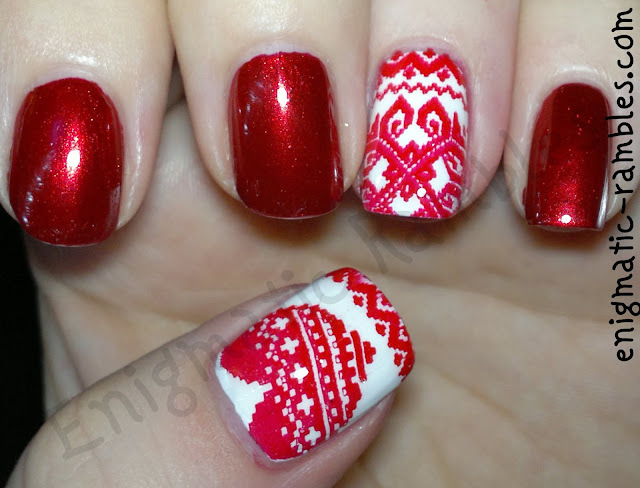 Hope you aren't all sick of these festive sweater style nails! I think that Be My Berry is the perfect Christmas red, it is a metallic finish so it adds a little special twist on the traditional cremé red finish. I have the same plate, love it, I've nearly used every design!